OEM Pet Care Australia is the pet care division of the Connex United Processors' Group. O.P.C.A is a leading OEM brand pet care manufacturing group of premium or budget pet food formulas and pets hygiene products in Australia. A La Carte Super Premium Holistic formulas : affordable professional complete nutrition for every day needs - made in Australia from premium highly digestible natural ingredients such as Lamb and/or chicken Meat with Rice and/or vegetables) - cereals content has also been reduced to a marginal level in order to ease sensitive digestion system and reduce stool mass. Lastly, all our formulas have been complemented with a probiotic culture to strengthen immune systems of your most loyal friend. A La Carte Gourmet brand comes in 7 delicious different varieties. It comes in 100gr; 150gr & 300gr Gourmet aluminum trays, made from fresh meats and 100% nutritionally complete with no artificial additives. A La Carte Professional wet range for dogs and cats is available in 400gr; 700gr and 1.2Kg cans. It is made from prime Beef, Turkey, Lamb, and Tuna meats marinated in thick gravy sauces and supplemented with added vitamins and minerals. It provides a perfect solution for fussy "eaters". Pet shampoo comes in chamomile, rosemary and eucalyptus. We also supply a combined pet shampoo/conditioner for dogs. Cat litter comes in wide variety of sizes and packaging. Top quality semi-moist pet treats for dogs and cats. Assorted tasty flavored dog biscuits. Highly nutritious liver treats for cats and dogs, 100% natural. 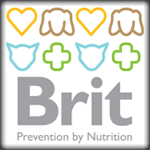 Lactose-free pet milk for kittens, puppies & adult pets.